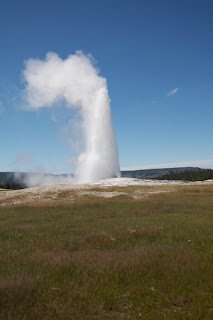 My husband loves Yellowstone National Park, it's probably his favorite national park. I have to admit, it offers a stunning variety of things to see and do. But it is a lot of driving (which can be hard on little ones). It also takes several days making it a vacation in itself rather than a weekend or a stop along the way (I think that is why my husband likes it so much). 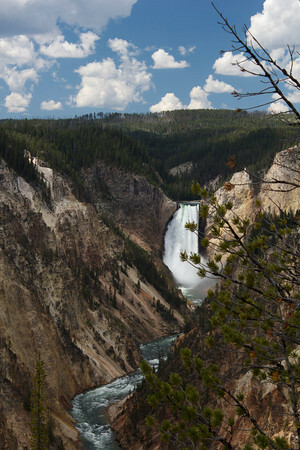 National reviews frequently pit Yellowstone against the Grand Canyon as the two best parks in the states and possibly the world. The argument is always the one hit breathtaking grandeur versus the multiple unique features Yellowstone offers. 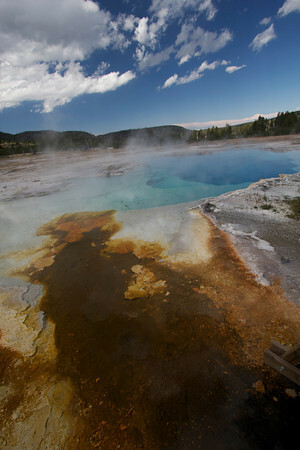 And Yellowstone offers a staggering number of things to see and do. Here are some of our favorites. 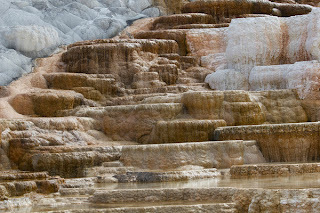 #1--Mammoth--ever changing, these hot springs sculpt step like formations into the soft limestone. 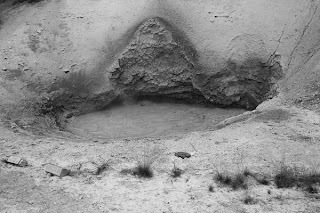 The hot springs flow differently from moment to moment much less year to year, so you will never see the same formation twice. Even the colors change. #2--Old Faithful--Erupting every 60-90 minutes (be sure to check the schedule in the visitor center), this is the most famous of the geysers at Yellowstone. Along the boardwalk are several other geysers, many of which erupt most days. Down the road is my husband's favorite, Grand Primatic Spring. 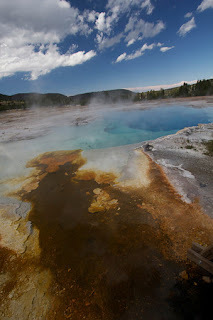 The sheer size of this geyser is incredible with plenty of colored and boiling pools to see as you explore this area (little ones should be strapped in strollers, tightly tethered, or in a sling as this area is very dangerous for those who wander a few steps off the boardwalk). 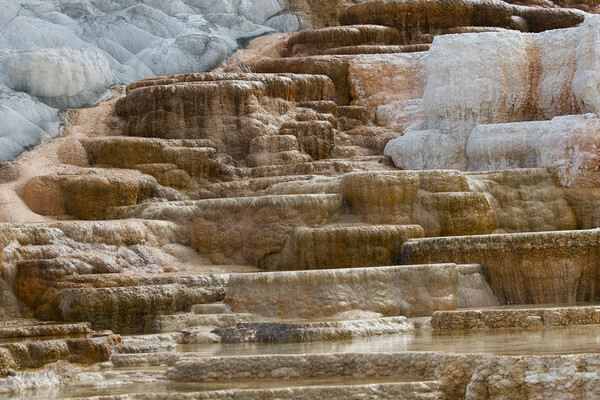 Yellowstone has roughly 60% of the world's geysers with miles of boardwalks to wander. #3--Upper and Lower Falls--with multiple viewing areas, these grand falls with incredible elevation drops have inspired artists and tourists alike. Keep your eyes open for large birds (such as eagles) and their nests. 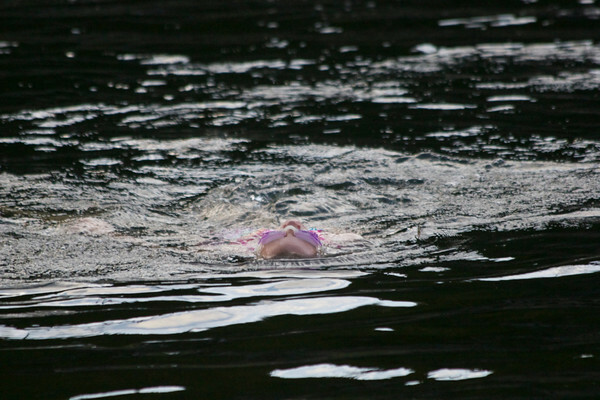 #4--Swimming at the rivers--Yellowstone boasts two swimming holes which quickly became our kids' favorites. The first is by Mammoth and is where the Boiling River meets the icy Gardner. Parking is near the 45th parallel sign (a fun fact in itself). The walk is close to a mile but is more of a nature stroll than a hike. The fun of this place is finding the spot where the two meet to form warm water. The other spot is along the Madison River in western Yellowstone. Though a little chilly (even in July), this spot offers a large stretch to play with plenty of shallow shoreline. There are changing rooms in the bathrooms and be sure to bring your own towels. 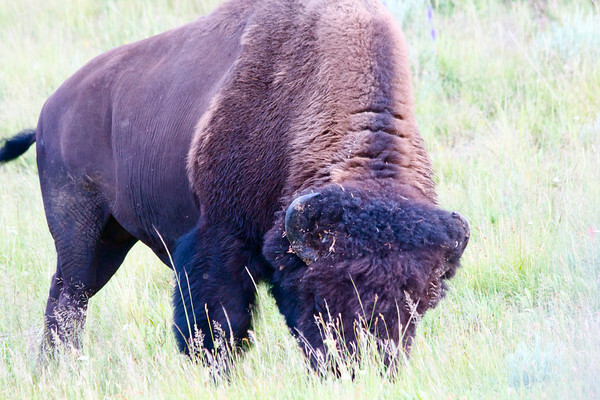 #5--Wildlife--Buffalo, elk, and deer are frequent sights with bears, moose, and eagles (or other large preying birds) a possibility. And, of course, the baby animals are adorable. The Lamar Valley (in the northeast) and Hayden Valley (in the east) are great areas to see the elusive bears. Watch for people with scopes set up (many of them will let you take a peek). The Madison River and Yellowstone Lake also offer good wildlife viewing opportunities. Did I mention elk love the Mammoth area? Frankly, it is hard to visit Yellowstone without seeing wildlife. #6--Visitor Centers--The fact that Yellowstone offers 3 major visitor centers (each with a different emphasis) shows how varied and large this park really is. For museum kids (like mine) that like to learn, explore, and touch, these visitor centers provide an incredible education and an air conditioned break from walking along boardwalks or riding in the car. Some even feature a junior area for younger children with plenty of hands-on opportunities. Ambitious families can do the junior ranger program (which is more difficult to earn here because of the vast park size) including attending a ranger program (which can be highly enjoyable). #7--Chief Joseph Plaque--this is one of the many hidden gems of Yellowstone (the petrified trees, horseback riding, the obsidian cliffs, the 45th parallel line sign are other great ones). This particular plaque made my list because it highlights the peoples of Yellowstone. Learning of Native Americans growing up, I had heard the story of Chief Joseph but as an adult I could better appreciate the cat-and-mouse game between the army and his people through the canyons and geysers of Yellowstone (with 2000 horses). As you drive through, be sure to stop at a few of the signs to learn what most people miss. #8--Firehole Drive--Another of my husband's favorites, this loop is located in the geyser basin and takes you to some of the lesser seen geysers. Many are small with plenty of variations in color and size. The sheer number of geysers you pass as you drive (and you are welcome to stop and stroll along the boardwalks) is impressive. This is also a nice way to stay in an air conditioned car, not waking the sleeping toddler, and still enjoy Yellowstone. #9--Hiking/Nature Walking--Like most national parks, a few hikes allows a more intense exploration of nature. Yellowstone offers plenty of family friendly hikes including the miles of boardwalk along the geyser basins, Norris, and mammoth, hiking to observation points of upper and lower falls, the mud pots, the artist paint pots, the boiling river walk (with swimming at the end), and too many to list. #10--Mud Pots--As if geysers, grizzly bears, and waterfalls were not enough, watching boiling mud that smells like a boys locker room is truly something else. I envy the people who get to explore Yellowstone. If there was such a stunning place around here, I'd go check the horses for sale in sydney if there was one I could ride around on. I too envy the people who have this golden oppertunity to explore Yellowstone. 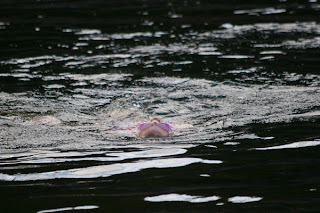 I have seen so much about it on TV and also read about it, this blog inspires me more.